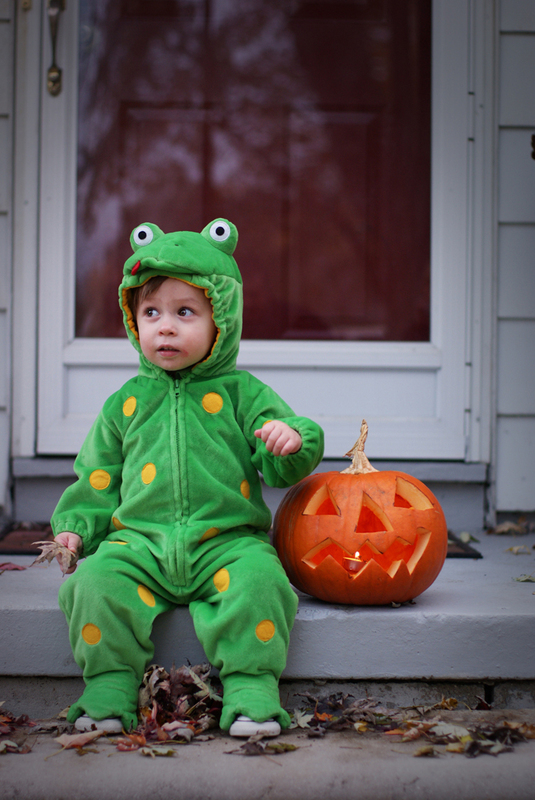 Just wanted to share a picture of my little frog...no need to kiss him, he is already my little prince! :) He L.O.V.E.D. his costume, and halloween in general.....we practiced 'trick or treat' with him for days (and he can say it!) but when we arrived at our neighbors porch he began reciting 'brown bear, brown bear' to our neighbor as she answered the door.....yes, he would rather carry a book than a candy bag...we'll see if that happens again next year! :) Happy Halloween to All!